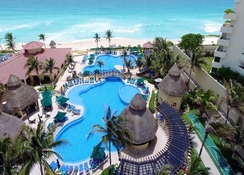 Experience the warm Solaris hospitality at GR Solaris Cancun, an all-inclusive hotel just steps away from a private beach. Facing a white sandy beach with turquoise waters, this lovely hotel offers over 300 well-furnished rooms set up in a seven storied building. Guests step into an inviting lobby with 24-hour front desk, a cloakroom, exchange counters and three lifts. There are delicious culinary choices available at the hotel’s three comfortable bars and five restaurants serving scrumptious dishes. Young guests can let off steam in the child's club or in the play zone. 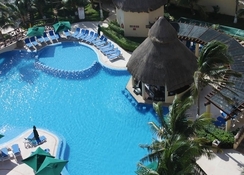 The hotel offers a 24-hour all-inclusive package that includes unlimited meals and snacks including breakfast, lunch, and dinner, unlimited beverages that includes alcoholic and non-alcoholic drinks and wine, a round the clock room service, live show and music at the Tehuacan Theatre, kid’s club access with fun activities, all gratuities and non-motorized watersports at the beach. This property is just three minutes’ walk from a private beach. El Rey Mayan ruins are a short walk of 500 metres. 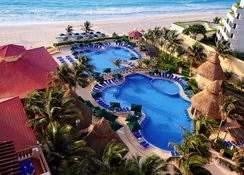 The Cancún International Airport is about 13km from the property. 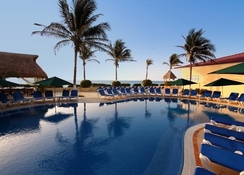 GR Solaris Cancun offers 306 guestrooms. The spacious and comfortable rooms will enable travellers to enjoy their holidays with all modern amenities, take a well-deserved rest. The rooms sized 400 sqft. and more, are equipped with private bathrooms, free toiletries, hair dryer, shower, balcony, room service (24 hours), in-room climate control (air conditioning), minibar, coffee & tea maker, iron & ironing board, in-room safe, daily housekeeping, desk, blackout drapes & curtains, led satellite TVs, Wi-Fi (surcharge), free cribs & infant beds and free bottled water. GR Solaris Cancun has six delightful restaurants that offer a variety of dining options with changing menus—serving up 10 different types of cuisine every week. There is also a room service that works 24/7. The hotel has bars which serve delicious alcoholic and non-alcoholic drinks and selected beverages in a relaxed ambience. 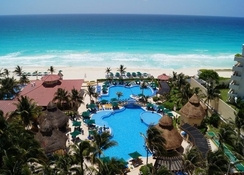 GR Solaris Cancun features a lovely spa, a fully equipped gym, a tennis court and day and night activity programmes organized by the entertainment team for all ages. 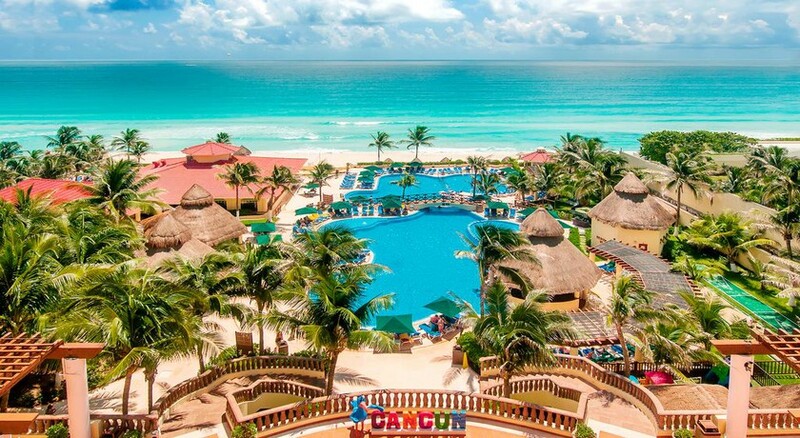 Guests staying here can enjoy exciting tours in the surrounding areas of Cancun. Prepare yourself for an exciting adventure from wall climbing to windsurfing! 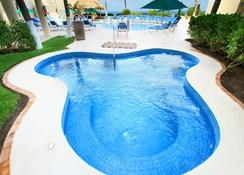 Guests can participate in all non-motorized water sports on the beach as part of the all-inclusive package.